Battersea Power Station in London build in two stages from 1929-1935 and 1945-1955. The chief engineer of the London Power Company, Leonard Pearce, conceived the building whereas the architect Theo J. Halliday was commissioned to design the appearance of the building. Sir Giles Gilbert Scott, at the time a famed architect, was commissioned after Halliday in order to boost the public perception of the building; he changed the original square chimneys to the fluted classical columns. Scott became know for his fusion of the Ghotic with the Modernist but Battersea Power Station was also decorated with Art Deco elements, especially on the inside. 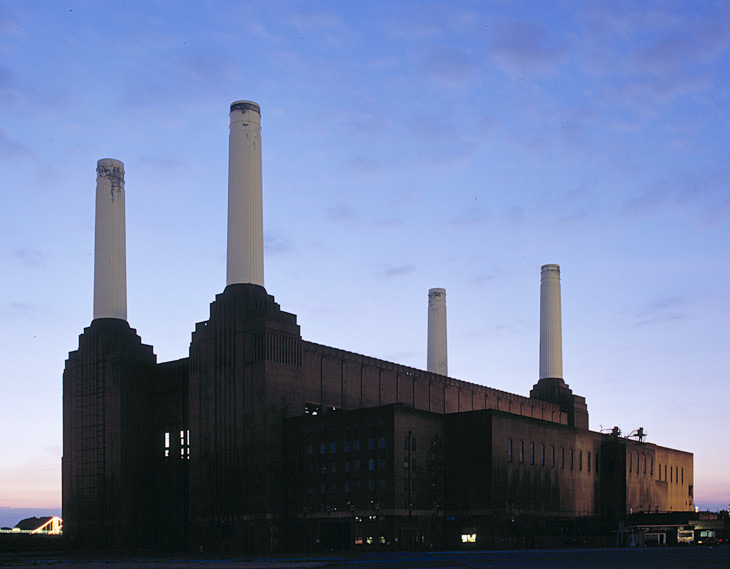 The style of Battersea Power Station has been termed brick cathedral style.